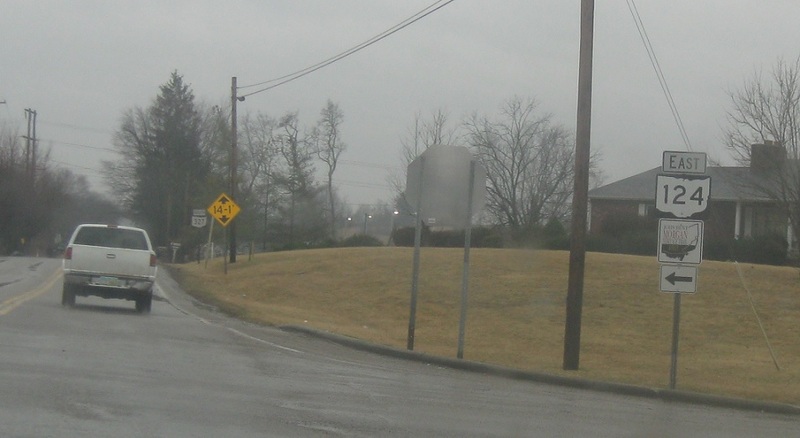 Reassurance shield as 124 briefly joins 327 south. 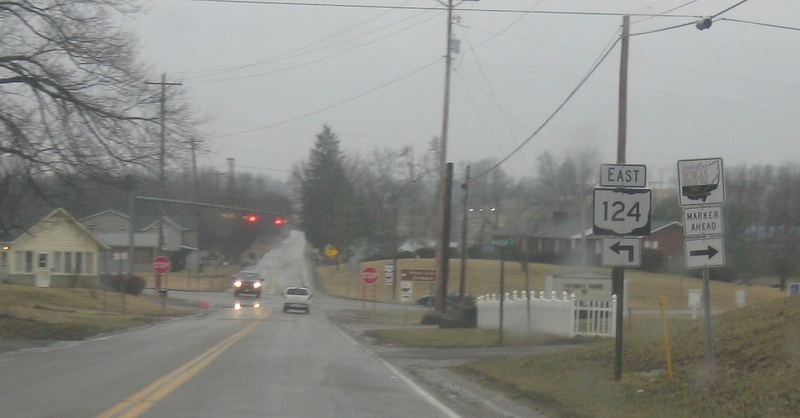 A few hundred feet later, turn left to stay on SR 124. Turn left for 124 east.